Six quarts of water are boiled, then removed from the heat. 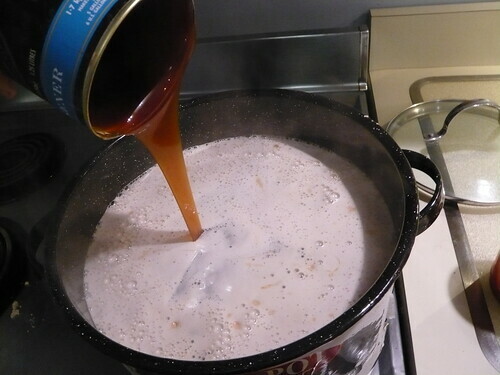 The dried malt and concentrate are poured in to make a wort, then brought back to a low boil for 5-10 minutes. Look away to mix yourself a congratulatory drink, though, and you might find your wort boiling over.